France started colonization of Mauritania in the late 19th century, adding to its present-day boundaries Adar. From 1920 Mauritania became a part of French West Africa. French colonization played a great importance for development of the country. Numerous tensions between Mauritanian tribes were stopped, slavery was abolished and many people, whose ancestors had been expelled from Mauritania, came back to their homeland. After the end of World War II Mauritania, as well as other African countries, was involved in a series of reforms of the French colonial system. 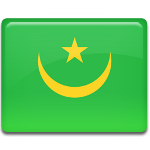 The reforms culminated in 1960, when France granted Mauritania full independence. This event took place on November 28, Moktar Ould Daddah became the first President of Mauritania, quickly turning it into a one-party state. His administration lasted till 1978.